1. Minimalism is really happening for me right now, whether its my accessories, , my kitchen, my workplace, or my clothes ! 2. 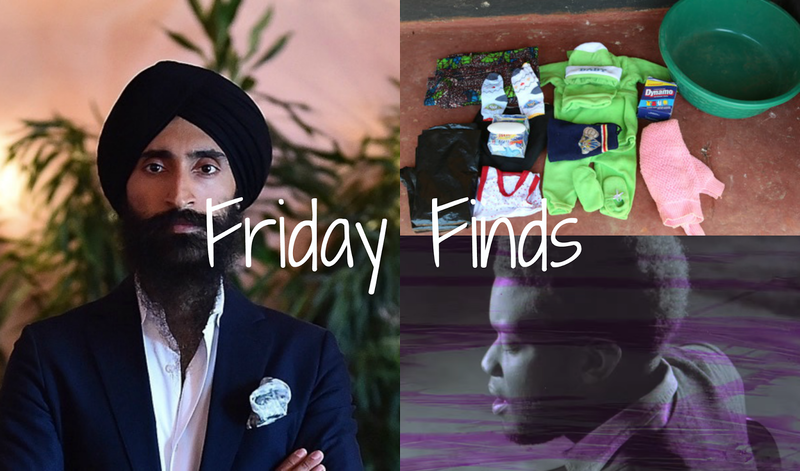 In these last few days Waris Ahluwalia (actor, model and designer) has been in the spotlight for what started off as a horrible and racist incident but was turned into an opportunity to educate. Find out more about what happened to Waris when he attempted to board his AeroMexico flight here. 3. So interesting to see what different pregnant women around the world take with them when they go to the hospital for delivery! 4. He was on our February playlist, but I want to put him in here again because he is nearly the best music discovery I have made since Leon Bridges in 2014. Michael Kiwanuka is a British Soul musician that you DO NOT want to miss out on! 5. Check out this timeline of when the world would end according to different religions/peoples etc! Such great links! I'm with you on the minimalism trend within the kitchen and especially clothes. I am decluttering.. selling, donating... trying to have less..